The Tall Ships Race series 2011 is over. For future opportunities please see the 2019 voyage programme . Waterford (Ireland) - Greenock (Scotland) - Lerwick (Shetland) - Stavanger (Norway) - Halmstad (Sweden), plus some exciting adventure voyages to bring the vessel home from Sweden via the Kiel Canal, Cuxhaven and Ipswich. .
As well as the two races and the official Tall Ships cruise in company, John Laing is offering a special adventure voyage to reach the start of Tall Ships and share in the first festival, and two exciting adventure cruises to come home after the end of the Tall Ships series. 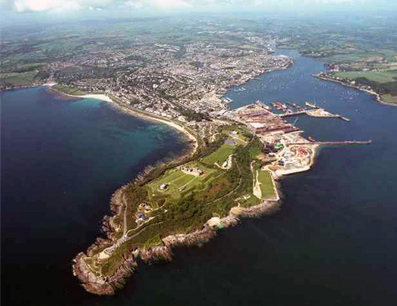 Festival Cruise: 26 June - 2 July, Falmouth - Waterford (Ireland), 6 nights, £445pp, age 15-25. Sail to the first festival of this year's Tall Ships series, join the celebrations and events in Ireland, and see the Tall Ships gathering before the race! VOYAGE OVER. 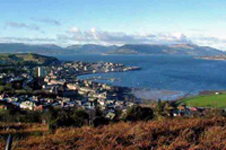 Race 1: 2-11 July, Waterford (Ireland) to Greenock (Scotland), 9 nights, age range 15-25. £645 plus travel. VOYAGE OVER. 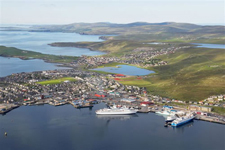 Cruise in company: 11-23 July, Greenock (Scotland) to Lerwick (Shetland), 12 nights, age range 15-25. £840 plus travel.VOYAGE OVER. Race 2: 23-30 July, Lerwick (Shetland) to Stavanger (Norway), 7 nights, age range 15-25. £520 plus travel.VOYAGE OVER. 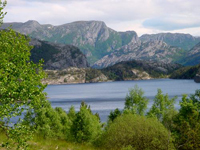 Race 3 : 30 July to 7 August, Stavanger (Norway) to Halmstad (Sweden), 8 nights, age range 15-25. £610 plus travel. VOYAGE OVER. Baltic cruise : 9-15 August, Halmstad (Sweden) to Cuxhaven (Germany) via Kiel Canal, 6 nights, age range 12-25. £455 plus travel. VOYAGE OVER. 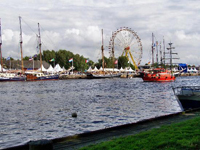 Homeward cruise : 16-23 August, Cuxhaven (Germany) to Ipswich (UK), 7 nights, age range 12-25. £510 plus travel. VOYAGE OVER. Festival Cruise: 26 June - 2 July, Falmouth - Waterford (Ireland), 6 nights, £445pp plus travel, age range 15-25. Sail to the first festival of this year's Tall Ships series, join the celebrations and events in Ireland, and see the Tall Ships gathering before the race! Start from Falmouth in the heart of Cornwall, sail round Lands End and across to Ireland in time to join the first festival of the 2011 Tall Ships series and be part of the events and activities. See here for Waterford festival details. Race 1: 2-11 July, Waterford (Ireland) to Greenock (Scotland), 9 nights, age range 15-25. £645 plus travel. 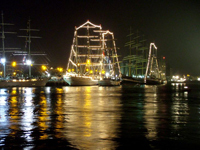 Waterford hosted a fantastic Tall Ships festival in 2005 so we are really looking forward to going there again. It will be an amazing experience for John Laing's crew members, joining hundreds of other young people from all over the world for a fantastic programme of events and activities. See here for Waterford festival details. On leaving Waterford, all the vessels take part in a parade of sail. On board John Laing, new crew members will be learning the basic skills needed for the voyage: everyone on board will become an important member of the team during the race. 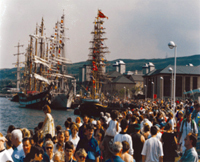 The race ends in time to enjoy another spectacular festival in Greenock. More information about the Greenock festival here. 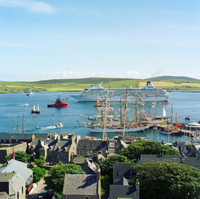 Cruise in company: 11-23 July, Greenock (Scotland) to Lerwick (Shetland), 12 nights, age range 15-25. £840 plus travel. The crew for this voyage will arrive in time to enjoy the festival in Greenock (more information about the Greenock festival here) before setting off for a cruise through the Scottish islands. 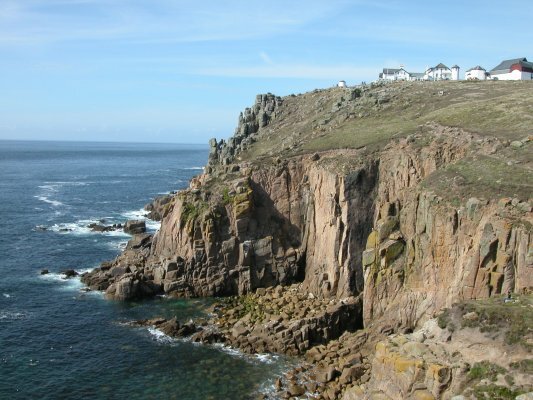 We will have a chance to explore the coastline and visit ports along the way, as well as socialising with other vessels taking part in the event. The voyage will finish with another festival in Lerwick. More information about the Lerwick festival here. Please contact the office to make a provisional reservation, or to ask any questions. Girls only as the voyage has been part-booked for the Senior Section Girl Guides. 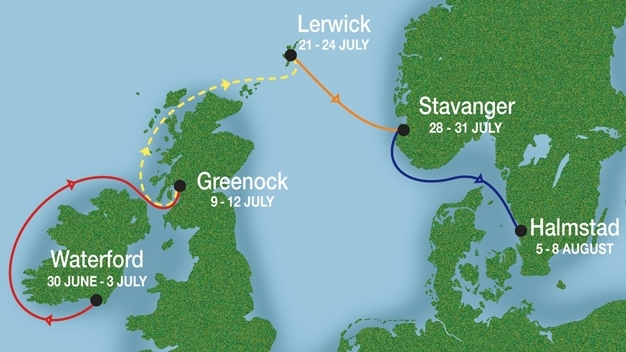 Race 2: 23-30 July, Lerwick (Shetland) to Stavanger (Norway), 7 nights, age range 15-25. £520 plus travel. Girls only as the voyage has been part-booked for the Senior Section Girl Guides. This voyage will start with a chance for the crew to enjoy the Lerwick festival in Shetland, visit the other vessels and take part in activities with other crew members. There will be a spectacular parade of sail on leaving Lerwick, after which the fleet will race across the North Sea to Norway. Again, no sailing experience is necessary for John Laing's crew, as full training will be given on board. The race ends with another great festival in Stavanger. 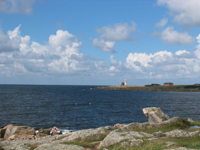 Race 3 : 30 July to 7 August, Stavanger (Norway) to Halmstad (Sweden), 8 nights, age range 15-25. £610 plus travel. This voyage will start with a chance for the crew to enjoy the Stavanger festival, visit the other vessels and take part in activities with other crew members. There will be another parade of sail on leaving Norway, after which the fleet will race past the northern tip of Denmark and into the Baltic. The race ends with another great festival in Halmstad, Sweden. Baltic cruise : 9-15 August, Halmstad (Sweden) to Cuxhaven (Germany) via Kiel Canal, 6 nights, age range 12-25. £455 plus travel. This voyage starts just after the end of the Halmstad Tall Ships festival, with a return to peace in the beautiful Baltic! Because the festival is not part of the voyage, we can go a little below the Tall Ships minimum age on board if required. We will then cruise south and west through the islands, perhaps with other vessels making their way home from Tall Ships. We'll use the Kiel Canal to get back into the North Sea. The voyage will end in Cuxhaven, Germany. 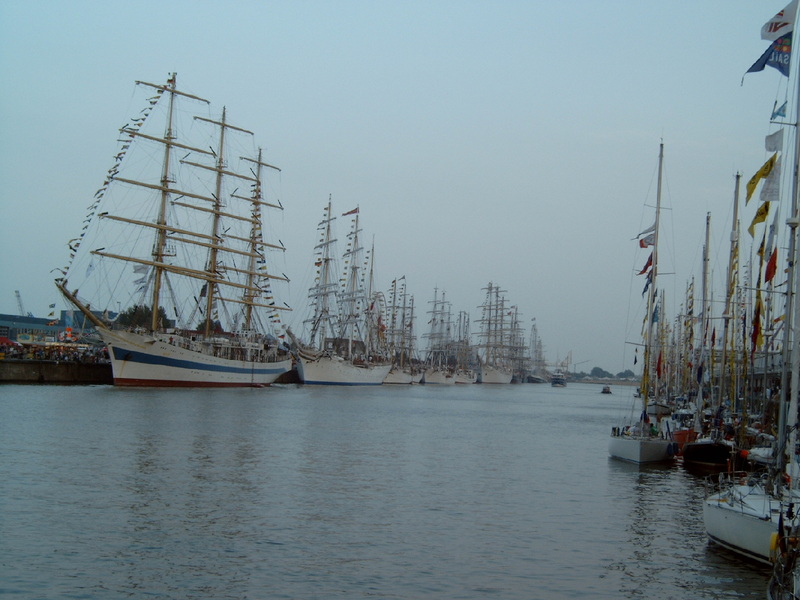 Homeward cruise: 16-23 August, Cuxhaven (Germany) to Ipswich (UK), 7 nights, age range 12-25. £510 plus travel. 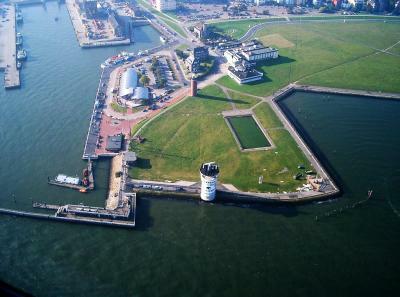 This voyage will start in Cuxhaven at ther mouth of the Elbe River. After that, we can cruise wherever we like - maybe the German and Dutch Frisian islands, or other ports along the coast, or a quick run across the North Sea back to the UK - a lot depends on the weather at the time. Again, no sailing experience is necessary for John Laing's crew, as full training will be given on board.